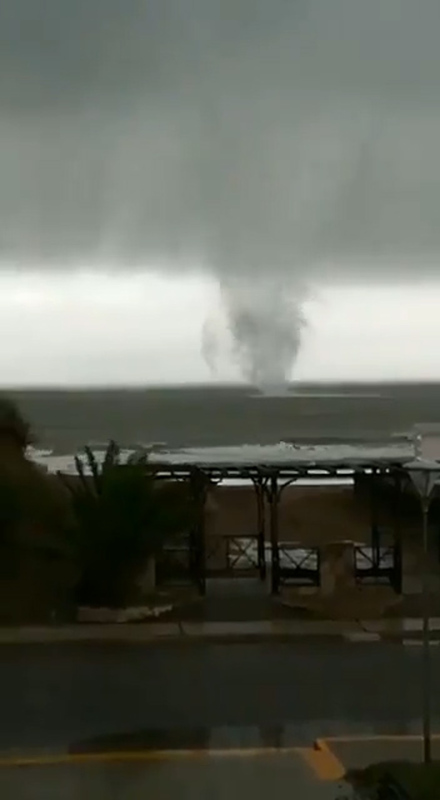 This is the huge water tornado that was recorded near the coast of Argentina, shocking the witnesses during strong rain and wind storms in the area. 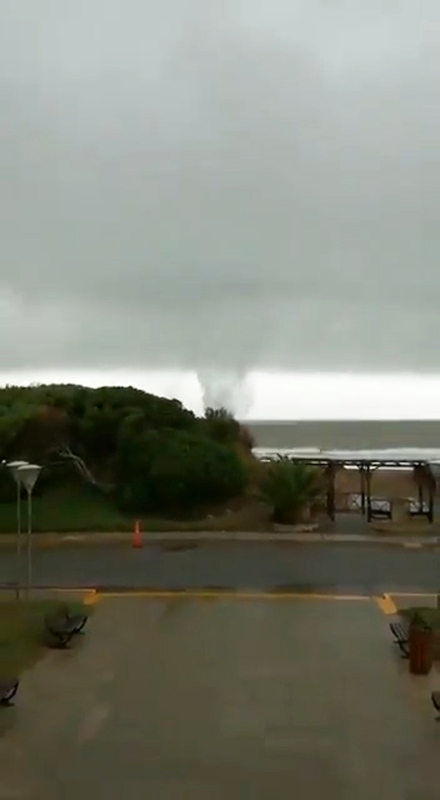 The waterspout was spotted making its way across the ocean just off the coast of Mar del Tuyu, a popular resort town in the Buenos Aires province of southeastern Argentina. 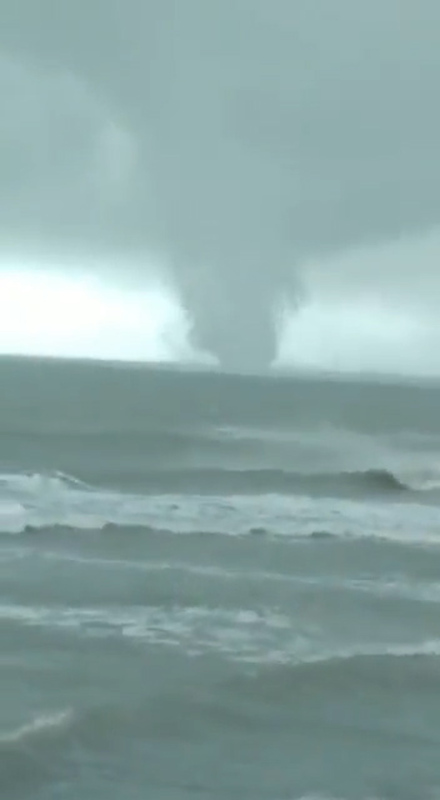 In the video, the waterspout can be seen twisting across the ocean, with the vortex linking the sea with a dark cloud above. 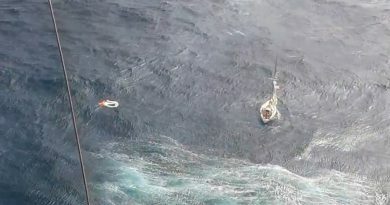 Another clip shows the wide vortex making its way across the water and the National Meteorological Service has predicted the area will remain cloudy and wet for the rest of the day. 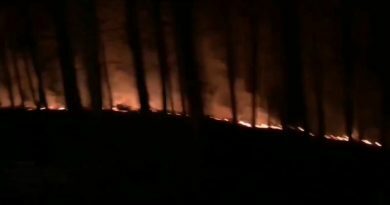 Augusto Giachetti, the Head of Civil Defence for the Partido of La Costa, said to local media that “the phenomenon was seen clearly near the municipal palace of the Mar del Tuyu”. 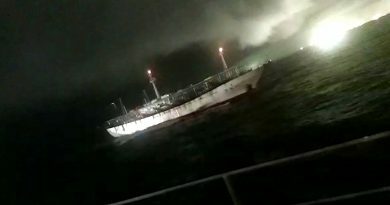 He added that “it was made as a consequence of the rain and wind storm that was hitting the southern area of La Costa” and said that some towns in the area had suffered electricity cuts in the storm. 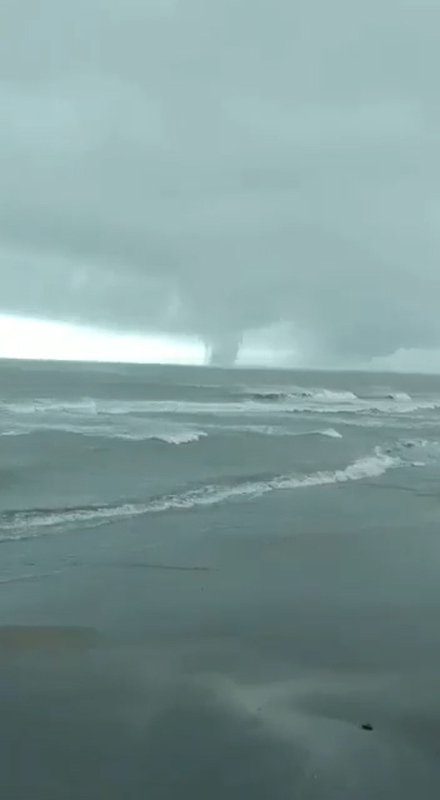 Waterspouts normally develop in moisture-laden environments as their parent clouds are in the process of development. No damage to property has been reported in the storms.